A new wave of agricultural commercialisation is being promoted across Africa’s eastern seaboard, by a broad range of influential actors – from international corporations to domestic political and business elites. Growth corridors, linking infrastructure development, mining and agriculture for export, are central to this, and are generating a new spatial politics as formerly remote borders and hinterlands are expected to be transformed through foreign investment and aid projects. In our work stream 3 study for APRA, based on work in Kenya, Mozambique and Tanzania, we have been asking: what actually happens on the ground, even when corridors as originally planned are slow to materialise? Do the grand visions play out as expected? Who gets involved and who loses out? Research into the Southern Agricultural Growth Corridor of Tanzania (SAGCOT) focuses on contestations – especially over land and market opportunities – and the types of resistance and agreement that are reached between interest groups, including state–capital alliances and diverse groups of local people on the ground. Research into the Lamu Port-South Sudan-Ethiopia Transport (LAPSSET) corridor in Kenya focuses on what happens as the promises of corridor development unfold in the coastal county of Lamu. This research also examines the diverse ‘economies of anticipation’ that are articulated by different groups – from farmers to civil society groups to government officials – as the terms of inclusion are negotiated even in advance of any big investments. 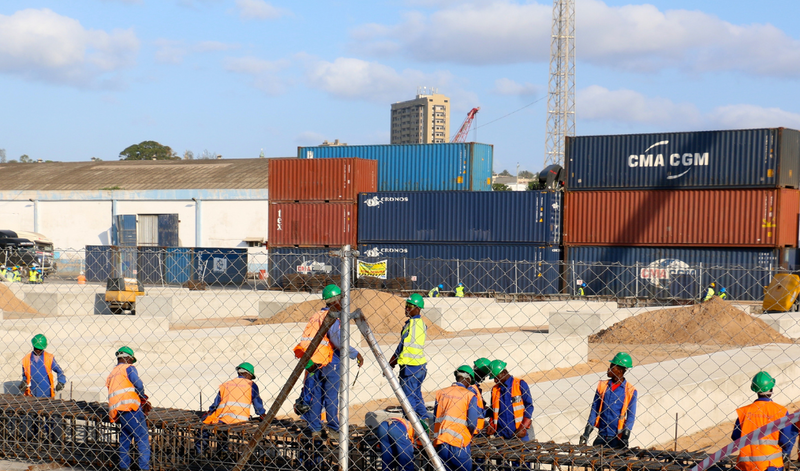 Research into the Nacala and Beira corridors in Mozambique looks at the political economies of creating corridors through the everyday practice of extension agents, NGO officers and government officials. ‘Acts of demonstration’, such as projects, shows and visits, generate a visibility for new corridor activity. The form and design of the corridor matters. We contrast a linear, ‘tunnel’ model – involving a limited set of actors usually involved in enclave-based export production – with a more informal ‘network’ model that allows a wider range of actors to be included. Business configurations of investments are important. Large investments in agriculture in the form of centrally-managed estates or plantations may offer limited opportunity for positive ‘spill-over’ or ‘linkage’ effects in the wider economy, especially if labour is hired from outside the region, as is often the case. By contrast, investments that explicitly include an outgrower element – whereby smallholder farmers produce on contract for a core estate or processing plant – offer potentials for different production relations, depending on the terms of incorporation. Local context and negotiations alter plans. Neither a state-driven modernist plan nor enclave capitalism results. Local contexts and political negotiations instead generate many hybrid forms, as different visions compete and converge. State plans for corridor commercialisation – often presented as a vision of an extractivist ‘tunnel’, with limited connections to wider economies – frequently fall apart. The realities of rural Africa on the margins intervene, transforming economic prospects and forcing projects to morph into a new project more closely aligned with local capital interests. Winners and losers. At the local level, alliances between local elites, investment capital and the state results in new patterns of differentiation, creating winners and losers. Ethnic politics is often central, as claims over resources are contested between indigenous groups and a state promoting a national development project. Those able to benefit from new investments – such as through outgrower schemes – are often those who are already better off, with corridors reinforcing existing patterns of inequality. ‘Performing’ corridors in ‘demonstration fields’. A variety of projects are constructed involving networks of actors – local and external – who are able to make the most of the rhetoric surrounding the corridor development, even with little action actually occurring on the ground. Such demonstrations are proclaimed as development successes, and certain people, practices, technologies and infrastructures are enlisted by state and business players, as well as NGOs. Diverse pathways of commercialisation emerge. Agricultural initiatives range from the establishment of estates/plantations, to the creation of block farms and cooperative groups, to contract farming arrangements – or emerge through infrastructure development, including roads and rail that change market opportunities and relations. However, outcomes are not necessarily as planned, as actors get involved, new networks are created and new opportunities arise. Policy appraisal must include political economy analysis to explore the potential winners and losers. External capital/infrastructure investment mobilises local interests, including local capital and the state, creating new patterns of differentiation. This means appraisal must go beyond the standard economic assessment to a wider social and political analysis. The design of a corridor – and the associated business models promoting agricultural investment – make a big difference. Opportunities for a more networked organisation, avoiding the limitations of a ‘tunnel’ design, need to be explored, especially around the design of transport infrastructure that can benefit local economies. Terms of inclusion and exclusion in corridors are mediated through a range of local institutional and political processes. For example, land speculation and the revitalisation of older conflicts over resources may occur as a result of corridor development. Benefits may be unevenly shared in already unequal societies, with women and poorer households missing out. Processes for negotiating corridor outcomes require the mobilisation of less empowered actors – including women and poorer people – and their organisation around clear guidelines – such as those within the FAO Voluntary Guidelines on land tenure – that ensure terms of incorporation into corridor investments are not disadvantageous. Support for legal literacy and advocacy, as well as the organisation of disadvantaged groups, will help people to be able to articulate demands. This requires building on local organisations and networks to help counter the power of appropriation of local elites in alliance with the state and investment capital. As state-capital alliances forge grand visions for development corridors across Africa’s eastern seaboard, the processes of corridor-making will come under greater scrutiny. The issues raised by our research suggest the need to focus on a more inclusive, ‘networked’ form of corridor, avoiding the dangers of extractive ‘tunnel’ visions designed for extraction. If corridors are to benefit the majority, through investments in infrastructure, new technologies and markets, then attention to political economy is vital, whether in relation to wider structural political interests or practical engagements on the ground. This blog is the first in a mini-series of APRA blogs, which focus on the branch of APRA’s work stream 2 studies examining the development of growth corridors in East Africa, and thier implications for agricultural commercialisation. See below for links to the rest of the mini-series, which will be published throughout the week beginning 11/02/2019, alongside a number of events linked to APRA’s work on growth corrdiors. See Future Agriculture’s social media channels on Twitter (@FutureAgrics) and Facebook (@futureagricultures) for more information on these and upcoming APRA events.